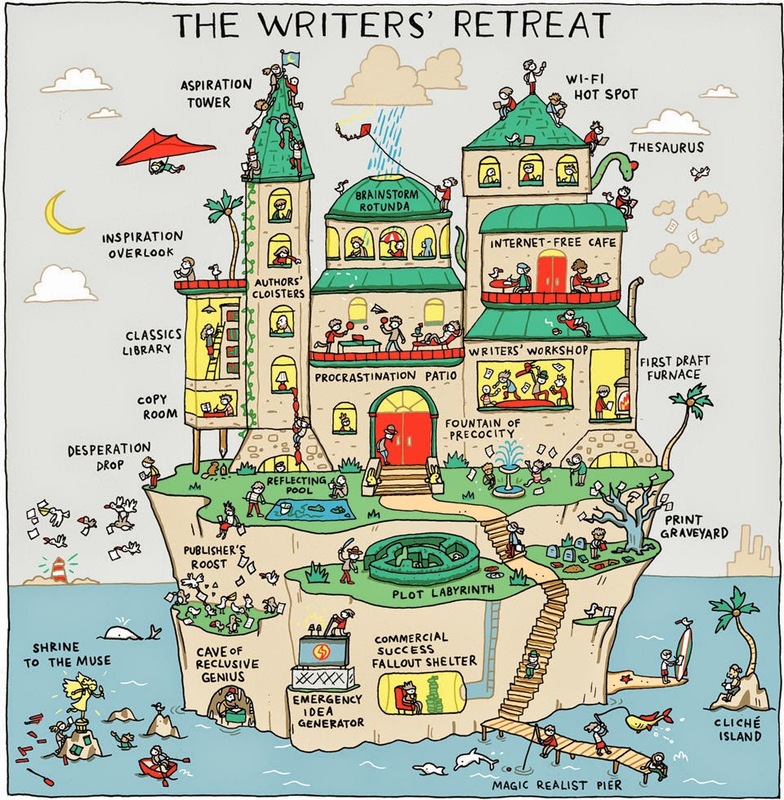 I'd totally sign up for a little getaway to Grant Snider's The Writers' Retreat, which appears in this weekend's NY Times Book Review, and nab a corner right on Inspiration Overlook. Then I'd hole myself up in the Authors' Cloisters before chucking it all over Desperation Drop and hanging out in Procrastination Patio instead. The illustrator behind Incidental Comics has a few other illustrations that made me laugh like The Treehouse of Adulthood and The Story Coaster. Snider's work reminds me of those search and find books that would entertain me for hours while discovering lost items and silly scenarios in a sea of chaos. To order a poster of The Writers' Retreat and other illustrated commentary on literary and artsy pursuits, visit incidentalcomics.com.